PizzaExpress on High Street, Cardiff has recently undergone a major makeover, with the restaurant being totally transformed, and now features artwork paying tribute to the nearby Cardiff Castle. Each PizzaExpress restaurant is individually designed – often using well known places, people or historical events from the area as the basis. The new artwork draws inspiration from the shapes of some of the former Cardiff Castle residents’ coats of arms, including those of the Tudors and the de Clares. We were lucky enough recently to visit the restaurant with our two children, and were immediately greeted by a friendly waiter who showed us to our seats. 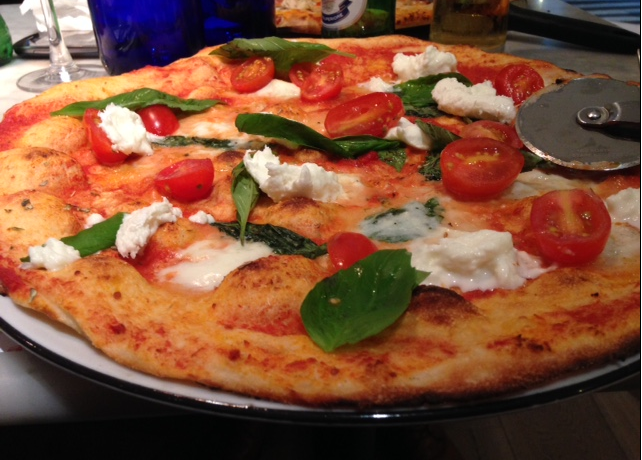 After perusing the extensive menu, we ordered our meals, the children chose from the Piccolo menu, while Louise went for the Margherita Bufala pizza and I had the Pollo ad Astra pizza. Suffice to say, when the food arrived we weren’t disappointed! Louise and I both had very generous sized pizzas, which were absolutely delicious, and the children devoured their pizzas in record time! 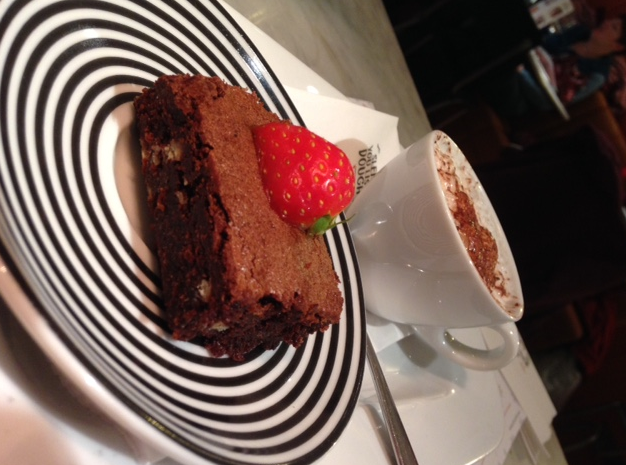 Amazingly, we all still had room for desert, with scrummy chocolate brownies proving popular with both children and adults alike! 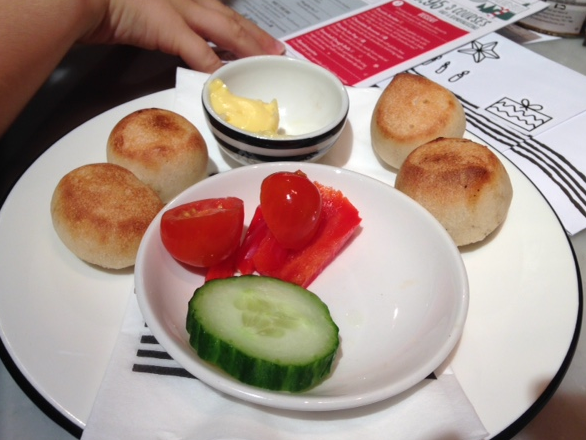 For younger pizza-lovers, PizzaExpress’ Piccolo menu is full of tasty choices including ‘Create Your Own’ pizza, and starts at just £3.95. And for budding chefs looking to celebrate a birthday, a Pizza Making Party will see them transformed into pizzaiolos so they can stretch, toss and top their own pizza and play party games before sitting down to enjoy their culinary creations. The restaurant was very child friendly, with both the waiters and manager making a real effort to interact with our children and showing admirable patience when taking their orders! I remember the restaurant before the refurbishment, and my one abiding memory was of a cramped, quite dark space. Well, what a contrast now! The place is full of light, spacious and welcoming, with a friendly atmosphere. We all loved the food, and the fact that we were there for over two hours and the children didn`t complain once is testament to how much we enjoyed our time at the restaurant.